Within 24 hours of the Orthodox Church celebrating Easter, three of its buildings around the world have gone up in flames. Orthodox churches in Sydney, Melbourne and New York all caught fire, although there appears to be no link between the blazes. In Sydney, the Macedonian Orthodox Church of the Resurrection was gutted following a fire that broke out about 10pm on Sunday. Less than 12 hours after the end of the Easter service, the Rockdale church, parts of which have been standing since the 1890s, was destroyed. Church treasurer Steve Kostovski says the blaze is doubly heartbreaking as the church did not have contents insurance for the building, which contained irreplaceable icons from around Europe. Three firefighters were injured and two were taken to hospital after being struck by bricks falling from the building, which investigators cannot enter until it is declared structurally safe. Australia’s second oldest Greek Orthodox church in East Melbourne was more fortunate, saved from a blaze on Monday afternoon. The cause of the fire at the 115-year-old Holy Church of Annunciation of Our Lady, is not believed to be suspicious, investigators say. No one was inside at the time of the fire at 1.30pm, which was mainly contained to the roof. 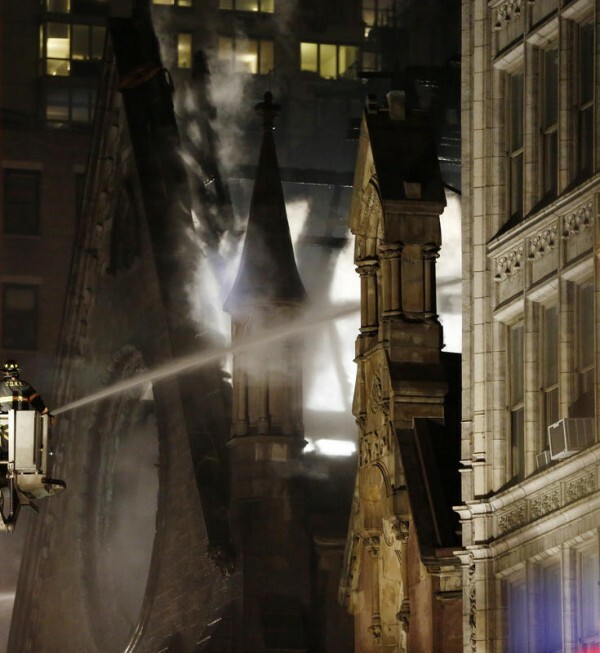 In the US, a Serbian Orthodox church has been gutted in New York. The blaze started on Sunday evening local time at the Serbian Orthodox Cathedral of St Sava in Manhattan, sending smoke plumes billowing into the sky and completely destroying the roof of the Gothic Revival style building.